Posted on September 5, 2013 . No comment. People who are follow the Japanese idols news may know Amachan. Amachan is NHK’s Asadora that has the idols industry as the theme. It’s very popular now. I got the vocal soundtrack album recently. Let’s see what’s inside. 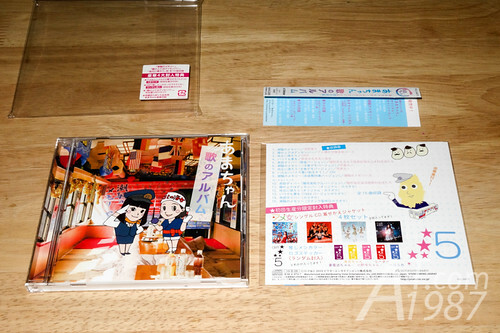 The CD is in the bag with adhesive strip. Very easy to open. 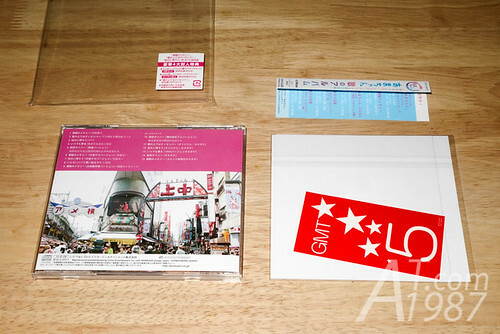 There are a music CD and the first press edition gifts inside. 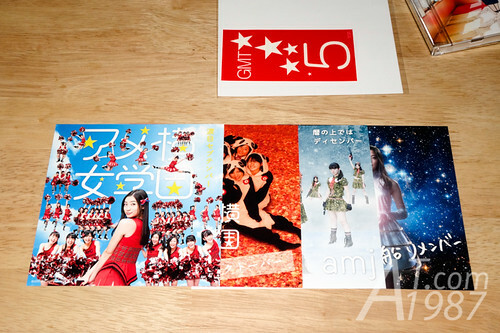 The first press gifts are 4 single covers of Amejo and 1 GMT5 sticker. The sticker color is random picked from 5 colors. “jjj” emoji on the CD label is very cute. 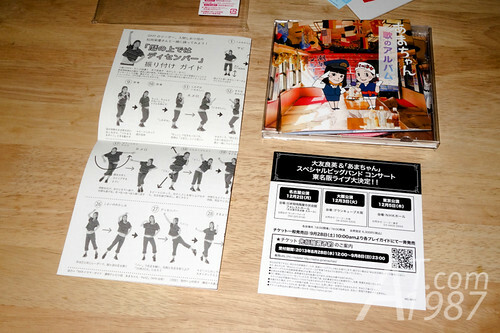 There are the interview leaflet of Kudo Kankuro (This drama screenwriter and lyricist.) and Otomo Yoshihide (This drama composer) and big band concert information leaflet inside the booklet. 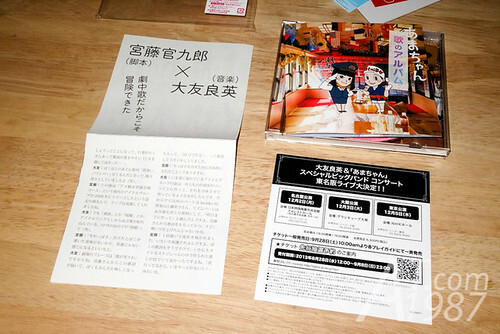 On the back side of interview leaflet is how to dance “Koyomi no Ue de ha December” by Iruma Shiori who is GMT5 leader. 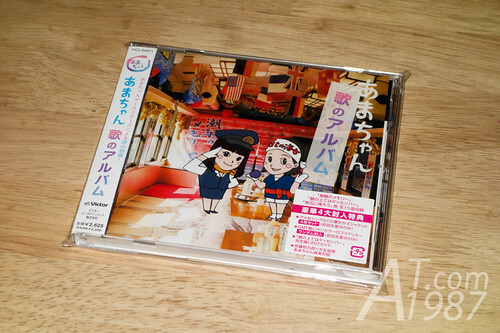 Here are the 4 cover of Amejo single. They are printed on the same papers as the real CD cover. So you have to be gentle when take them out from the bag. 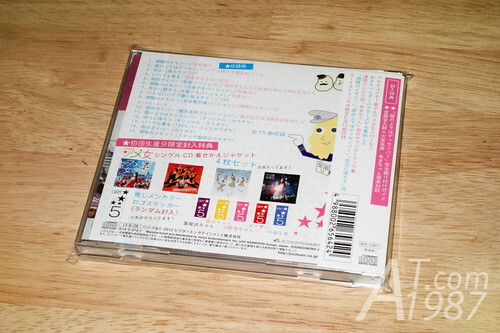 This album contains all vocal tracks feature in the drama such as Amejo and GMT5 single. They even include Namba Driver which is Aki’s school song. For those who interested in this CD. 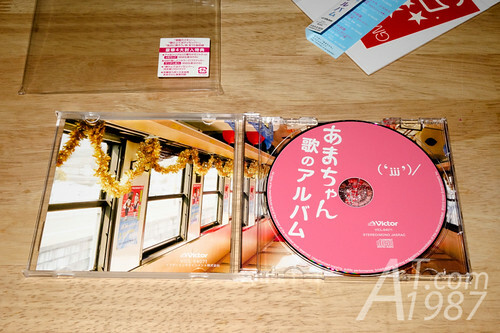 You can buy it from CDJapan.